This month's challenge with The Scrapbooking Queen is a color challenge using any image we wanted but the colors needed to be orange, purple and brown. I used the cutest brand new image from Simon Says Stamp called 'Trick or Treat'. 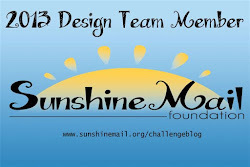 To find out more info on the challenge you can go to the challenge blog HERE. Every entry in this challenge has an opportunity to win the 'Royal' prize pack from the Royal Castle Shoppe. The mummy pup is colored with COPIC markers, the bats were stamped in VersaMark and embossed with a mixture of black detail and clear detail powders mixed together...I think it makes them extra shiny. The Halloween die cut comes from the matching die set for the 'Trick or Treat' stamp set. The twine is from Doodlebug Designs, Inc.
Hello my friends! It's hard to believe it's technically still Summer but I'm sitting on my couch with a blanket in my lap drinking a cup of coffee! The temps sure don't know it's still Summer....the high yesterday was in the mid 50's. Feels like we're going to go straight from Summer into Winter and I love Fall so much that would disappoint me!!! Reminds me of a line from the movie 'A Fish Called Wanda' - dis-a-POINTED! 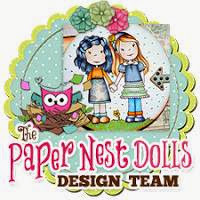 I have another Paper Nest Dolls 'Anything Goes' challenge for you! It starts today, 9/15, and ends on Friday, 9/26. 'Anything Goes' challenges are great because you can make anything your heart desires! My project today is a card using the cute image called 'Poodle Skirt Avery'. I love the poodle skirt - oh and the ice cream sundae ain't half bad either! I love coloring these little dolls but I have a heck-a-va time with the hair. But here's close up of cute little Avery. 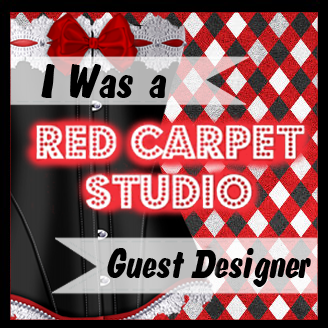 Thanks for stopping by and can't wait to see what you create. Hello my friends and welcome to my project for the Action Wobbles Design Team. I made this cute little card using a digital image from Mo Manning called 'Gimme a B'. I thought it was a perfect image to use since both school and football season have just started. It's always a challenge to snap a pic while the action wobble is wobbling, but I managed to get it done! Now if you don't know what an Action Wobble is, it's a little spring that you adhere to your card base and your die cut/cut out image that will make your image shake around. I made this project a while ago and unfortunately I don't remember the COPIC markers used to color her. The sentiment is die cut from Lawn Fawn's Quinn's ABCs and colored with COPIC markers.